It might seem counterintuitive, but the dreaded polar vortex currently ravaging America was pushed forth by hot air. This type of phenomenon is bound to become more common in future years, researchers say. “What the hell is going on with Global Warming? Please come back fast, we need you” — tweeted US President Donald Trump, presumably unaware of just how wrong he really is. The US, along with many parts of northern and western Europe, is experiencing an unusual wave of cold weather. The source is a polar vortex, and there’s a very good chance that global warming is at least in part responsible for it. It’s a lesson in how interconnected the planet is, and how man-made phenomena can sometimes have unexpected and devastating events. It all started with an unusual heatwave in Morocco. As the hot air migrated northward, it reached the polar vortex — the upper-level low-pressure area lying near the Earth’s poles. The extra warmth caused the polar vortex to break apart, and like ice shards, pieces of it were sent flying around the globe — one of those shards reached the US, where it’s causing unusually cold temperatures. So while the polar areas remain abnormally hot, cold air was pushed along with the polar vortex — and scientists say we’d best get used to this type of event. 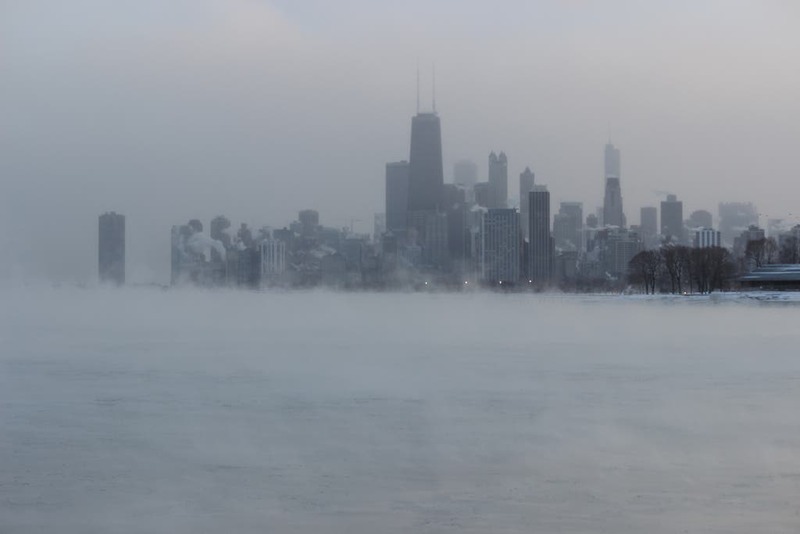 The unusually cold air will stick around for about 8 more weeks, meteorologists predict, and while the connection is not clear-cut, many scientists believe this type of event to be a counterintuitive symptom of global warming. At any rate, this is by no means a sign that global warming is slowing down or that temperatures are lowering. Monday, for instance, was 0.7 degrees Fahrenheit (0.4 degrees Celsius) warmer than the 1979-2000 average, according to the University of Maine’s Climate Reanalyzer — even as weather in the US was blistering cold. It’s important not to fall into the line of thinking presented by President Trump, which is common amongst climate change denial circles. Barring willful ignorance or an outright lie, Trump’s tweet indicates a lack of understanding as to what climate is. It is most certainly not weather. Climate represents a long-term meteorological state, the statistical average of weather taken over a meaningful period of time — with that period defined by the World Meteorological Organization (WMO). Simply put, weather is what’s happening now, or in a span of days or weeks, whereas climate implies averages, and expresses spans of years, decades, or even more.